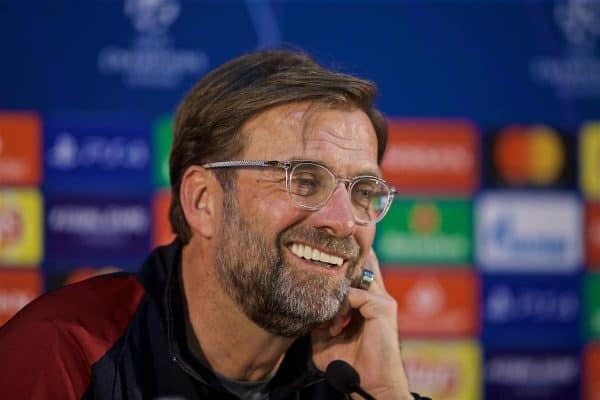 After Porto boss Sergio Conceicao had said that he considers Liverpool as the “best team in the world,” Jurgen Klopp and James Milner gave their responses in their press conference ahead of Wednesday’s tie. Conceicao heaped praise on Liverpool during his pre-match press conference earlier on Tuesday, saying: “Liverpool are all about the way that I think about football. When asked for his response, Klopp gave a measured answer: “He said we are the best team in the world? Yeah, sometimes we are really good and hopefully, we can show it again. However, Klopp also agreed that his players can, and do, show they’re excellent at times. Milner was also asked for his response to Conceicao’s lauding, again appreciating the compliment but saying that the Reds must win trophies to be considered in such high esteem. “That’s a nice compliment,” said the vice-captain. “You get those by playing good football over a sustained period of time, so that’s nice to hear. Milner was also asked about the title run-in and a potential Premier League and Champions League double. “We all know how well we can play,” he said. “This year it’s when we haven’t played as well and we’ve had to grind it out and keep going to get that 90th-minute winner or dig out a clean sheet in tight games. “There isn’t too much talk in the dressing room about what’s going on and what might happen. It’s how we’ve been all season. “We’re training the same way, the mentality going into games is the same. That’s a massive positive. “The lads are just focused on what we can control. “There’s a confidence within the squad. You’re never going to play a full season playing your best football. Liverpool’s Champions League quarter-final second-leg in Porto is at 8pm on Wednesday night.